To say that Dr. Dre has commitment issues may be an understatement. His imprint Aftermath Entertainment, launched in 1996, has only successfully released 28 albums – less than two a year on average – with a long history of delaying and occasionally shelving its artists output. When California's Anderson .Paak – singer/rapper/drummer wunderkind whose last record, Malibu, caught a Grammy nomination – was announced as Aftermath's latest signing, some joked his next release wouldn't make it outside the live room. In fact, .Paak stated in a recent interview that after presenting the boss with his first finished version, executive producer Dre sent him back to the drawing board. So it's with a heavy exhale that fans welcome Oxnard, the third instalment in .Paak's 'beaches' trilogy, named after the artist's beloved, balmy home city. Malibu Mark II, however, this ain't. 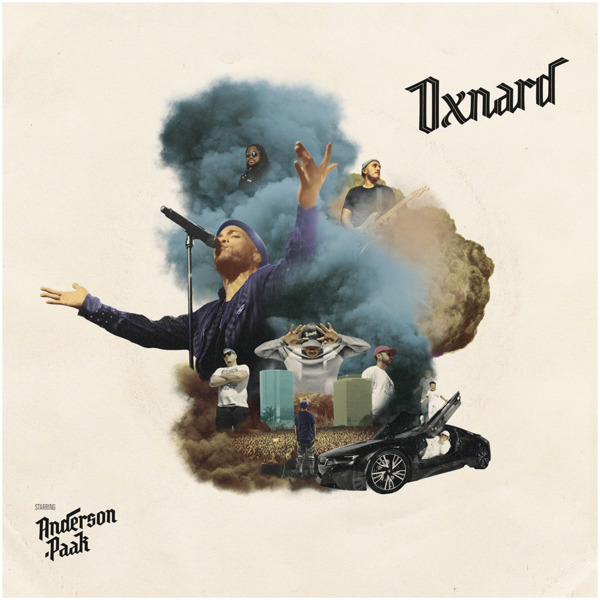 And whilst finally getting committed to wax, Oxnard suffers a lack of commitment to its vision, diluting the smooth, singular sound .Paak perfected on its predecessor into something less distinct and – occasionally - forgettable. Of course, expecting .Paak's eminent skirt-chaser persona to stay this wholesome is a losing battle. Just one track in, and "Headlow" announces itself, the most beautifully-crafted song about blowjobs you'll hear this year. And puffed up to his full slick-talking, cigar-toting self, .Paak slides into singles "Tints", with Kendrick Lamar, and "Who R U?". The former emulates the rude funk/soul of the album's openers, whilst the latter takes a sharp 180 into a menacing march, Dre's decades of rap game experience shining through the mix. It's throughout the record's later cuts, though, that things become a little unfocused. "6 Summers" is a meandering anti-Trump polemic, lifted by .Paak's expert couching of the subject of gun control in his signature breeze ('Lil' n*gga bullied out his Pumas... but why he have to shoot the whole school up?'). But before the sub-thumping shuffle can settle, the track flips at the two-minute mark, into a percussion-heavy backbeat peppered with awkward Dre ad-libs. This same odd halftime switch afflicts "Brother's Keeper", with Pusha T, and the two short halves of "Smile/Petty", the latter's gorgeous final act of searing guitars and lavish vocal harmonies cut far too short. Finally, the album's epilogue provides its biggest stylistic misfire – "Left to Right" – in which .Paak ill-advisedly employs fake Jamaican patois. Oxnard's penchant for twisting, not sticking, coupled with a Dre-shaped emphasis on beats and bars, leaves it woefully light on actual songs. 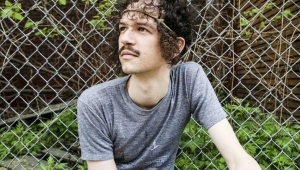 The hum-able hooks and slow-burning arrangements of previous albums cast shadows over it. You will not find a sister here to Malibu's arresting "Parking Lot", an ode to the rapture and risk of drowning your sorrows, or to Venice's "Right There", .Paak's muted house-pop tale of emotional disconnect and enduring love. Live ensembles, too, are paired down, perhaps a symptom of Dre's relative inexperience wrangling bands. This means less rich instrumentation, less space for .Paak's smokey, James-Brown-esque croon, only showcasing part of what he's capable of. This doesn't mean that Oxnard is a bad record by any standard; for Dre, at least, it's a boon. Tracks like "Sweet Chick" – .Paak's own X-rated "Mambo Number 5" – and "Mansa Musa" – featuring a firey verse from relative newcomer Cocoa Sarai – are the some of strongest material he's been associated with in the last decade. But it's hard not to feel that polymath .Paak's potential is somewhat buried. We're left wondering which gems might have been consigned to the cutting room floor, especially when considering recent full-bodied singles "Bubblin'" and "Til It's Over" didn't survive the elimination process. A still-formidable effort, but perhaps not the homecoming .Paak would have produced if he'd decided to go his own way.